Whether you’re looking for the best bowl to skate or killer obstacles, there’s a lot to choose from in Maryland. Looking for verts and grind rails? We’ve got those too. And good news: Most of these skate parks are free to the public. Here is our list of the best skate parks in Maryland. A large skate park in the heart of PG County, Bowie Skate Park has plenty of rails to do tricks on and even built-in jumps. They have bleachers for a viewing area as well so they even host competitions from time to time. It’s 10,000-square-feet of well-lit skating area. Just be sure to bring a helmet. Heading to the beach can be more than sunbathing. Grab your board and head to Ocean Bowl Skate Park in Ocean City, Maryland. You can catch some good air going off one of the ramps. Just be warned that there is a fee to skate. Since Ocean City also hosts skating competitions from time to time, check out the calendar of events and head that way to check out some of the best skaters in the region. Movable ramps keep the experience at Rockville Skate Park fresh. It’s fully fenced and a fun place to skate for a couple of hours. Admission’s free and Carroll Park Skate Park is open year-round. Competitions are held here so you can definitely get some good air when going off a ramp. There’s a mini-ramp with a spine and a long medium flat ledge for people who like to street skate. 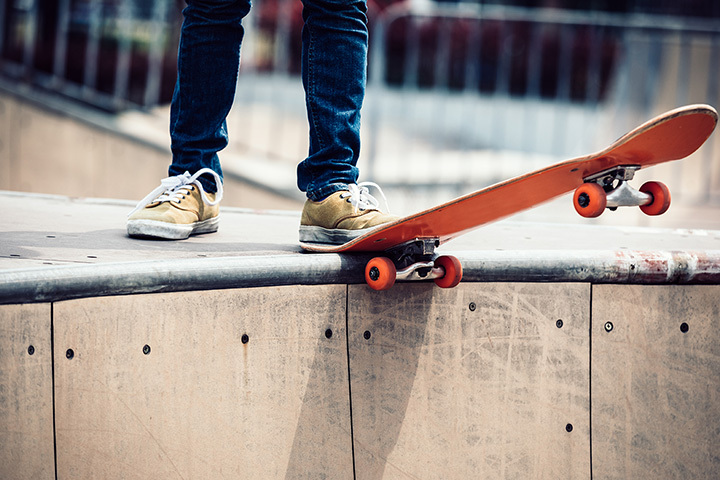 This is a good skate park for beginners since there aren’t a lot of obstacles but as far as location is concerned, if you live in the Western part of the state, Poolesville Skatepark is a good place to improve your skills. This is a rather large park with something for everyone, including playgrounds, trails, and concerts in the summer. If you are looking to skate while your family plays, this is the perfect place to go. With an eight-foot bowl and plenty of lines to carve, Charles County Skatepark is fairly well maintained. Fun and smooth with a Wally design, this is the best skate park in the area. For a compact park, the city of Greenbelt’s skate park has a street course and two bowls. If you are a bowl skater, this park is a lot of fun and has a vert in the deep end. You’ll find this skate park located in Watkins Park in Mount Airy. It is fairly large at 14,000 square-feet and has two half-pipes, rails, ledges, mini-ramps, quarter pipes and more. It has a five-star rating among skateboarders and you can buy an annual pass for only $80. This is the best skate park in Maryland. It is located indoors so you can skate year-round and the price is low to get in. You’ll have epic fun at Charmcity Skatepark and they keep changing it up to keep it fresh. Plenty of ramps and scooters are welcome too.